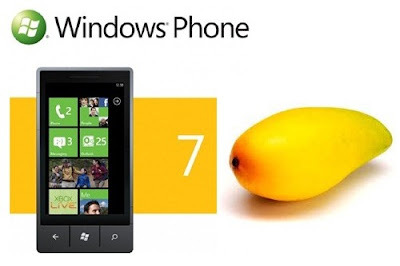 Last night Microsoft released the Windows Phone 7.5 Mango update (7720). The update brings over 500 new features to your Windows Phone 7 including LinkedIn and Twitter integration, Facebook- and MSN-chat, improved IE9 browser, contact grouping,… further information about the new features of Windows Phone 7.5 can be found here. 3. Immediately disconnect your PC from the internet (e.g. disconnect LAN cable/WLAN, disconnect router, etc,..) This has to be done BEFORE the notification that no update is available is displayed! 5. Reconnect your PC to the internet to download and install this update. I will update my HTC HD7 tonight! makeimg: FATAL ERROR: Command returned non-zero exit code 1 (dec). We immediately know this error occurred in the make image phase of the build process, so there must be something wrong with one of our configuration files. We placed a file (namely <module_name>) that is NOT an *.exe or a *.dll in the MODULES section of a *.bib file. We therefore simply need to move that <module_name>file to the FILES section of the *.bib and re-run make image. Et voilà another mystic error message deciphered! When debugging Windows Embedded Compact 7 applications using the Visual Studio 2008 for Smart Devices debugger, a user might not be able to use the single step function. This update addresses this issue. RemoteFX enables high performance with hardware assist to Remote Desktop Protocol (RDP) 7.1 clients connected to VDI hosts within a Thin Client environment. 110731_KB2568877 - This update addresses possible delay when opening an ASP page from a webserver. Fellow MVP Henrik Viklund ported the TCP and UDP performance test tool “Test TCP” for Windows Embedded Compact 7. It is based on the latest PC version (PCATTCP v.2.0.1.01.14) and is available on CodePlex. Thanks a lot Henrik, keep up the good work! last week Microsoft launched the Windows 8 Developer Preview at the BUILD Conference in Anaheim, CA. The first thing that you will notice is the new so called “Metro Style” UI with its “Live Tiles”. This UI should look somewhat familiar to you if you use a Windows Phone 7. Windows 8 still provides the “old” desktop as well. Windows 8 also comes with a new framework to develop “Metro Style Apps”, called Windows Runtime (WinRT). The classical application development frameworks like Win32, .NET Framework, Silverlight and HTML5 are still available. Unlike any of the classical application development frameworks, the new WinRT allows you to develop your “Metro Style App” in any language you prefer, based on the same framework (namly WinRT), allowing a better interaction between “Metro Style Apps”. So go ahead: download and play around with the Windows 8 Developer preview! Windows Embedded Compact QFEs for August 2011 have arrived! · 110816_KB2562821 - PCI Bus Enumerator may not properly adjust resources of existing PCI devices when a new PCI device is added to the system. · 110816_KB2587327 - This update addresses an error that may occur during startup when file system advertises a new interface. · 110803_KB2575787 - This update addresses an issue with Cachefilt. · 110803_KB2579278 - This update enables RNDIS to recognize Interface Class (0xE0 0x01 0x03) as defined by USB.org. · 110822_KB2592395 - Internet Explorer may not be able to connect to Windows Embedded CE 6.0 web server. The handshake may not be handled correctly for some messages. · 110819_KB2588509 - This update addresses an issue when retrieving Cookies that have "Path" parameter specified. Loading USB and HID drivers depends on Registry keys. The USB driver tries to find the best fitting driver for an attached device. But what exactly is coded with "Default\Default\3"? You may guess, it is somehow related to the vendor and the type of the device. In this example "3" stands for the Interface "HID (Human Interface Device)"
* The syntax is similar for HID devices. * All numbers are DECIMAL! This includes VendorIDs and DeviceIDs! Contrary to this example you should write a general-purpose and Vendor-INdependent driver.